Yesterday, Chris and the boys and I experienced something really special . 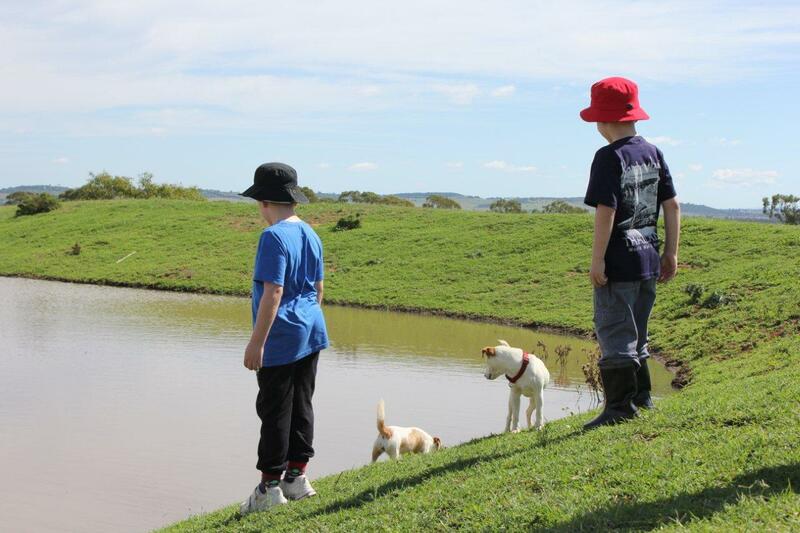 We took the boys out to Boodua, about 30 minutes outside of Toowoomba, to visit Bellamour; a beautiful, open and welcoming place which aims to engage children with Autism through animal therapy, garden and farm therapy, and other evidence based therapies. 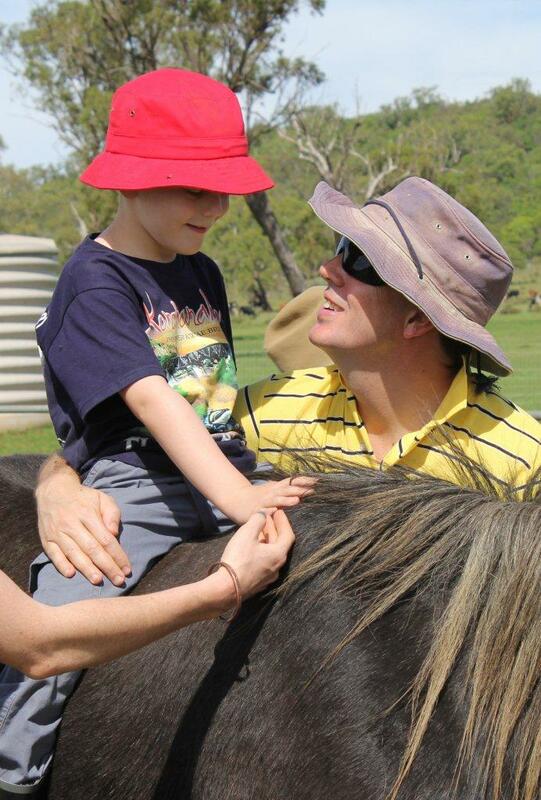 James with Coco – they struck a natural bond. Bellamour is a not for profit organisation founded by Trina Brown. Trina is the most remarkable, intuitive and inspiring woman. Her motivation to create a haven for people with Autism was inspired by her son who is on the Autism Spectrum. 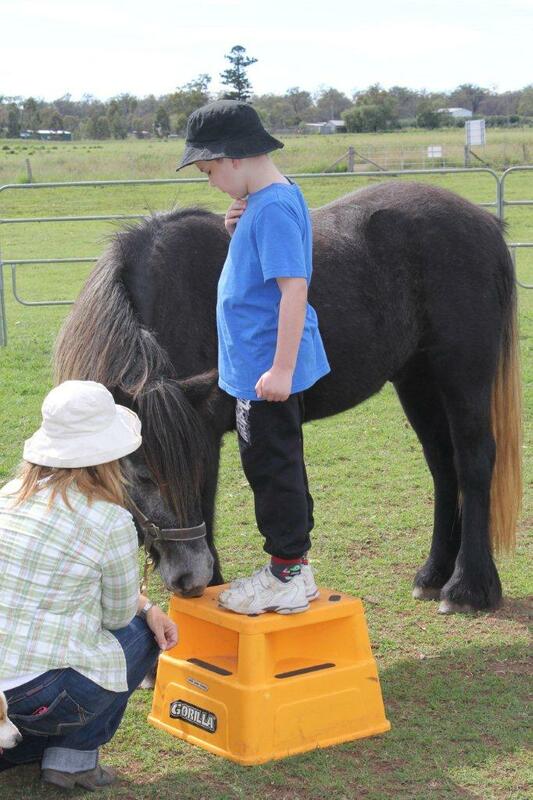 This combined with her Veterinary Nurse experience drove her to desire to have a place where children with autism could come and connect with the animals, without judgement and without the pressure of anyone else’s expectations of them. Bellamour is a place where the children can just simply “be”. Tom giving both Willow and Eddie a tummy tickle. There is plenty of evidence to support the fact that a connection and interaction with animals is stress reducing, calming and good for one’s general well being. Many children with Autism live with anxiety on a daily basis so being at Bellamour has the therapeutic effect of reducing stress and bringing a sense of calm to the children( and also to their parents!!!). James preparing to have a ride on Maestro. 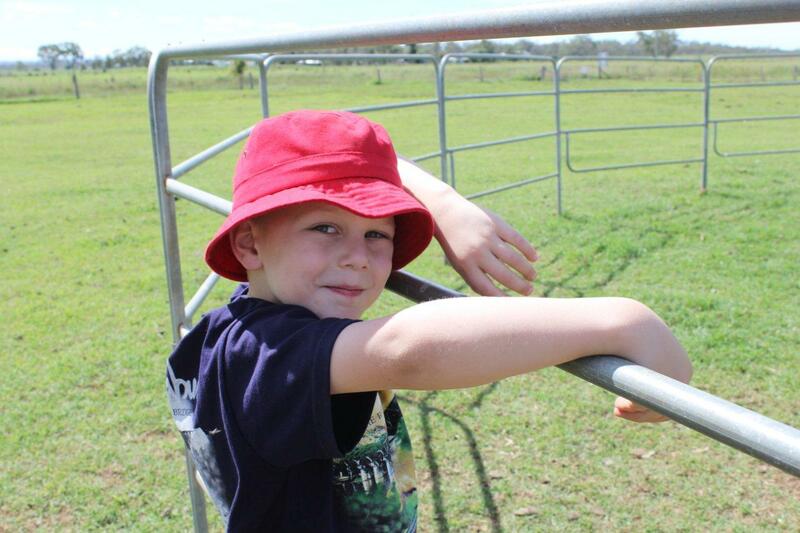 The University of Queensland is teaming up with the team at Bellamour to look more closely at animal based therapy and how they might be able to record and measure the benefits of this therapy and then ultimately replicate, extend and improve the techniques and methods being used at Bellamour in other settings. This is such an exciting project! The reaction of our boys to Bellamour was interesting. 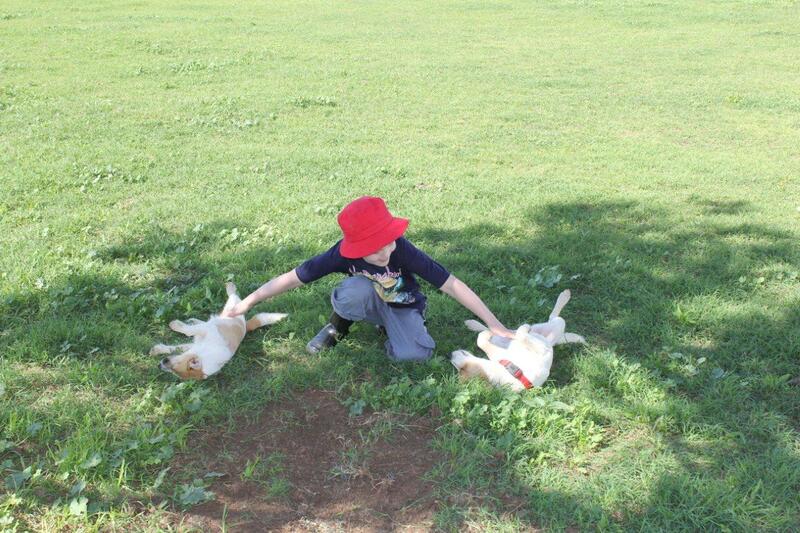 Both boys love the outdoors and they love animals. Tom is the more hands on child. He loves animals and is quite fearless in his interactions with them. James likes to observe the animals from afar but is cautious in touching them. Tom arrived at Bellamour quite hyped up and excited. James arrived quite nervous and a bit on edge. James finally touching Maestro – particularly loving looking deeply into Maestro’s eyes. 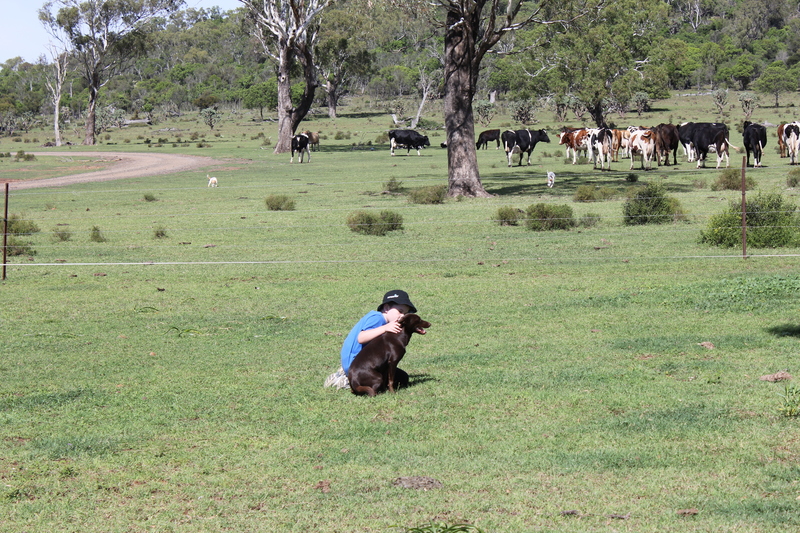 Within about 20-30 minutes, Tom was quiet and calm, James had relaxed and both boys were interacting and connecting with the animals. It was such a natural and unforced process. 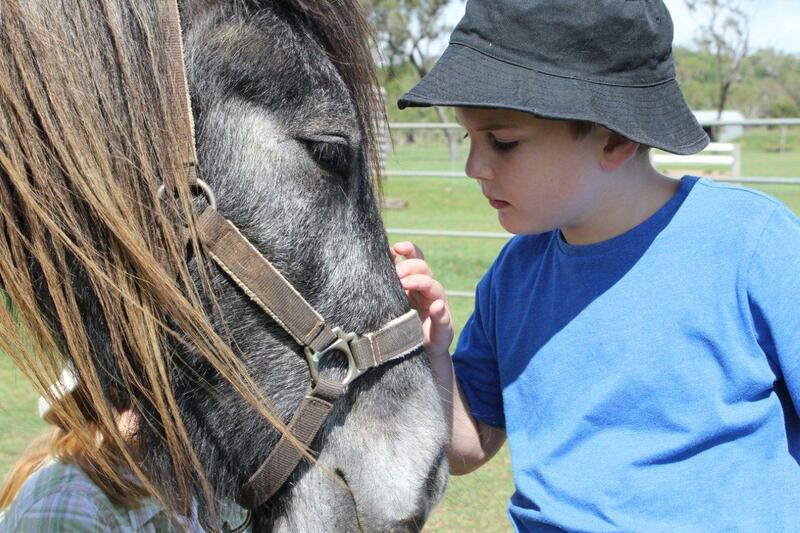 James’ confidence with the animals grew and he began patting the dogs and touching the horses. Tom calmed right down – his entire pace slowed down. By the end of the visit, Tom was so tired that Chris had to carry him to the car – simply the impact of finally getting to point of calm and peace. Tom – finally relaxed and calm! I would like to thank Trina and all her generous volunteers for offering our children and our families such a remarkable, therapeutic and magical experience – and all right on our door step. The world is a richer place for people like you, Trina. You are making such an enormous difference to lives of so many people. I can only imagine the blood, sweat and tears that have gone into creating and sustaining Bellamour, and on behalf of so many, I thank you most sincerely and with the deepest of respect. The world is a better place for having Bellamour in it. Bellamour’s web page. Find out how you can donate to or support the work being done at Bellamour. Link to an interview by David Iliffe (ABC) about Bellamour. 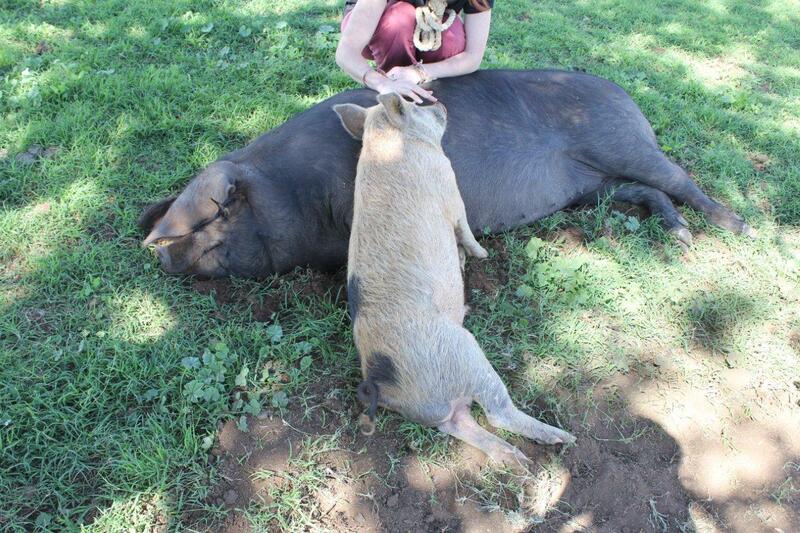 Horace giving Miss Piggy a cuddle!